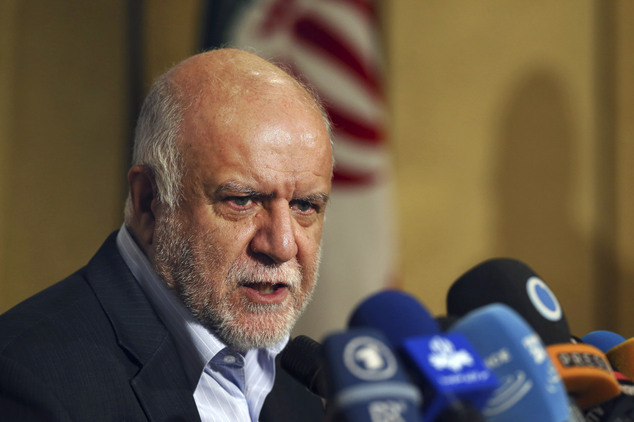 Director of the Exploration and Production Department of Total have met Iran’s Minister of Petroleum Bijan Zangeneh prior to the OPEC 171st session. Having arrived in Vienna on Tuesday, Zangeneh met and conferred with Algerian Minister of Energy Nuredin Buterfa and Venezuela’s Petroleum Minister Eulogio Del Pino at Vienna Airport. Zangeneh left Tehran for Vienna on Tuesday, November 29, to attend the 171st ordinary session of the OPEC in the Austrian capital city on November 30. He said upon arrival in his hotel in Vienna, "We continue to implement what we agreed in Algeria for the output level cut." The 171st OPEC session will be held in the Organization’s permanent headquarters in Vienna on Wednesday, November 30. During its extraordinary session in Algeria on September 28, OPEC members decided to fix their production at the level of 32,500,000 bpd.